The investigation follows reports of spiking bills after new meters were installed. The state Public Service Commission is investigating new complaints about New York American Water after more than 100 ratepayers on the South Shore complained of spiking bills after the installation of new meters. "We are aware of the complaints and the issues that have been raised and we are conducting an investigation," PSC spokesman James Denn said Sunday. The investigation follows complaints to local lawmakers earlier this month that customer bills jumped after the company installed new water meters this summer. 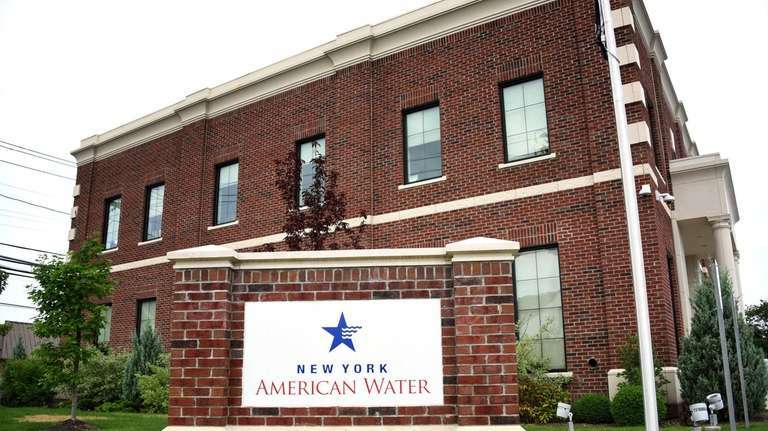 In a statement Friday, New York American Water said it was conducting a "detailed review using advanced meter analytics and meter testing to confirm" the accuracy of customer meters, which customers and lawmakers said have led some bills to spike more than threefold. "This review will include an analysis of every customer that submitted an inquiry as well as a broader approach which will identify patterns," company president Carmen Tierno said in a statement Friday. On Monday, the company is to detail the testing methods with PSC to "receive their input." The company also promised to share analysis and testing results with customers. “New York American Water is fully committed to our customers and the accuracy of its billing,” Tierno said. Barbara Levitz of Island Park told Newsday last week her new meter led her bill to shoot up more than three times her normal summer bill: $281 compared to a typical bill of $81. She noted several neighbors on her block saw similar spikes. Sen. Todd Kaminsky, Assemb. Brian Curran (R-Lynbrook) and Hempstead Town Supervisor Laura Gillen last week wrote to the PSC asking for an investigation. The jump in billing amounts "has residents stressed and confused," Kaminsky's letter said, and customers who've complained were told "they must have a leak or other faulty mechanism." New York American Water Company was already under fire after a PSC investigation earlier this year concluded company employees intended to “deceive” state regulators during rate-increase proceedings in 2016 that sent bills in the Sea Cliff district soaring last year. The PSC report found New York American Water employees knew of “material errors” in tax calculations during the rate-hike proceedings but failed to notify regulators. New complaints hit water companyIn a statement, the company said it is working with local lawmakers and the state Public Service Commission to look into the matter, and will release further information Monday.